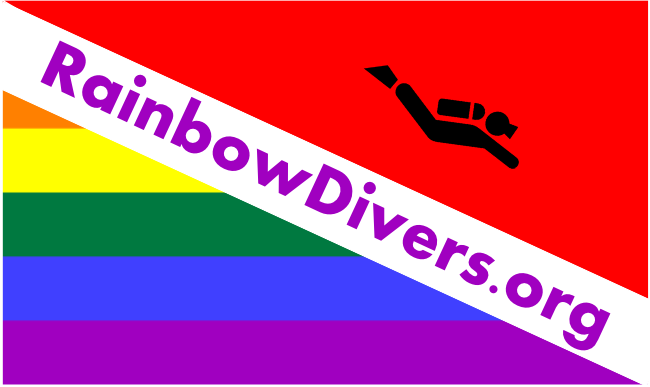 Please join us for the Rainbow Divers annual summer party on Pride Sunday! This will be a fun afternoon of socializing with fellow Rainbow Divers, sharing memories of your dive experiences (bring your photos! ), meeting the current Board members and volunteers, making new friends and dive buddies and learning about future club trips and events. There will be plenty of food and plenty of fun. Feel free to bring a friend, whether they dive or not! Please note that the party is on Pride Sunday starting at 3 pm, to allow people to attend the Pride Parade. Kathy and Connie have graciously agreed to host us at their home in San Francisco. The street address will be provided once your online registration is confirmed. If you plan on coming to the party, please do register so that we can plan. If you register and then decide you can't make it, we'd appreciate if you cancel your registration or email us.